What does it mean to show empathy for kids? 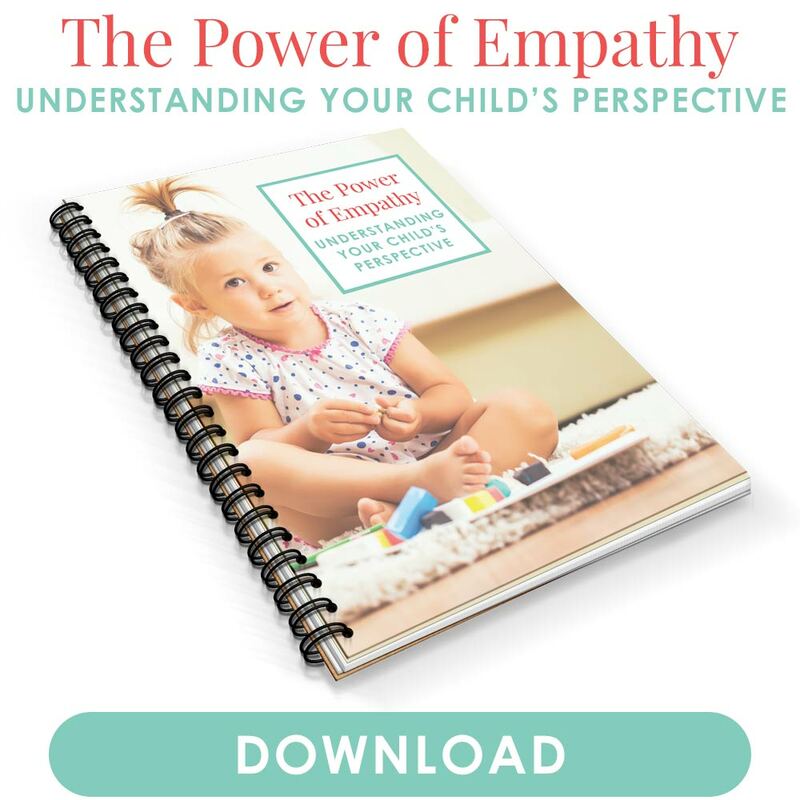 Discover ways to understand what children are feeling and why every parent needs to show empathy. Last night, my six-year-old thought I didn’t care about him. And all because of wooden blocks. I opened our box of wooden blocks for my three boys to dig into. By the time they separated their stash, he had way more than the other two. In an attempt to be fair, I counted all the blocks and divided them equally among all three. And that meant taking a few blocks away from him. He started to pout and cry. It’s just a bunch of blocks, I tried to convince him. You had way more than them. The crying didn’t stop, and I had to take a break in another room. It doesn’t get better: When he followed me, I left to go to another room. Only until he cried, “You don’t care about me” did I realize how foolish I’d been behaving. Think to the last time your child cried, misbehaved, or otherwise made you upset. Maybe he didn’t want to put his shoes on when you were already late. Or he was whining because he didn’t want to get out of bed. Maybe he even hit his sister or demolished her tower of blocks. And with each situation, tensions seemed to spiral down with no end. Wouldn’t it be nice to remove the power struggle and frustration in each case? We can, when we show empathy. Empathy is the ability to understand and even share what other people must be feeling. Not only is it an essential skill for your child to learn, it’s also an important parenting tool you can apply. Empathy makes us more understanding and patient. It’s easier to lose your temper when all you see is a child who hit his sister. But when you imagine how he must be feeling, you might notice it’s because his sister grabbed a toy out of his hand. You’re able to connect and show him you understand why he must’ve done what he did. Not that it was the right thing to do. Empathy isn’t about letting kids get away because you understand their motives weren’t wrong. Just because your child felt slighted by his sister doesn’t mean he should hit her anytime he does. But it removes the power struggles between the two of you as it becomes a team effort. It’s not mom on one side and child on the other. Instead, it’s both mom and child figuring out how to cope with his frustration and behave in a better way. Even if you think you react or get upset too quickly, you can still show empathy. It’s never too late. After I realized my mistake with my son over the wooden blocks, I apologized. I had hurt his feelings, but I knew I could still connect with him. The first step is to stop reacting to our kids and instead respond. Think about the last time your child misbehaved. If you react, you’ll likely get upset, lose your patience or yell. But if we pause and respond, we’re able to keep our cool and be more attuned to our kids. So much so that we can ask ourselves why they’re behaving this way in the first place. When all we see is a child not doing what he’s supposed to do, it’s easy to lash out and get everyone even more upset. But if we ask why, we can understand his motives. For instance, you might see your child was in the middle of solving a puzzle when you asked him to put on his shoes. Understanding the reason helps us better connect with our kids than assuming they weren’t listening. Read more about asking important questions before you discipline. 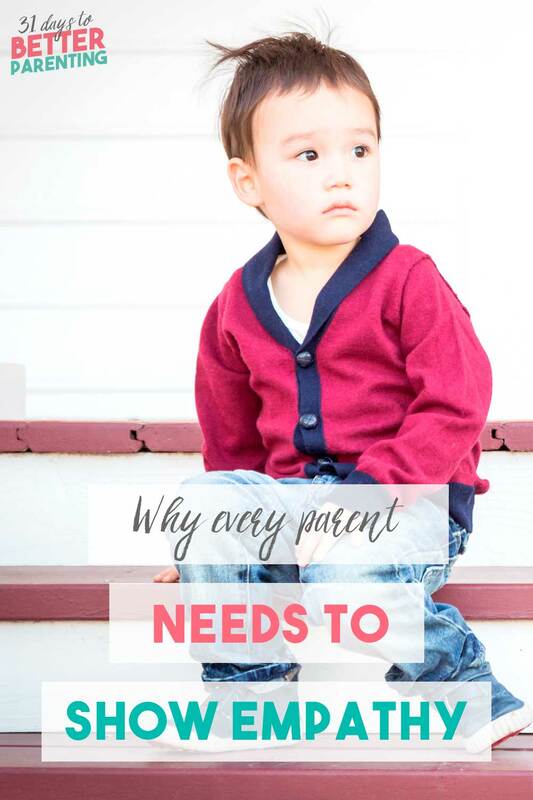 Asking yourself why your child is behaving this way forces you to pause and consider your response. Understanding why our kids did what they did was the first step. The next is to see what they must be feeling. In doing so, we might realize, He didn’t like when I interrupted his puzzle so suddenly. He was probably concentrating hard and enjoying the game. It must’ve been difficult to transition out of that activity. Only in examining what our kids must be feeling can we then put ourselves in their shoes. We wouldn’t like it much either if we were enjoying an activity and someone told us to stop and do something else. We’d feel hurt that our feelings weren’t acknowledged and our hard work ignored. The same is true for our kids. Only when I asked what my son must’ve been feeling was I able to show empathy. I realized he didn’t like his grand plans to build with wooden blocks thrown off. I also saw it doesn’t feel good to have to give up your items, even for fair purposes. The beauty of showing empathy? It connects us. We realize we’re not so different from one another. That we may even act in a similar way had it been us. And it allows parents to communicate in ways that show more understanding and patience. We can reach them using words they can relate to and feelings they understand. The first two questions above are all internal—insights that happen within us. Now it’s time to communicate with our kids and show them we understand what they must be feeling. Often the first step to show empathy is through body language. A child might be crying too loudly to even hear any words we say. And besides, body language is universal and more understandable than words. Ask yourself what your child needs from you right now. Maybe it’s a hug, a kiss or a tight embrace to show him you’re here. It could be a facial expression that shows you’re sorry and will do better next time. He might even need space and a few minutes alone. Imagine how different that conversation would be if we left out the first step—empathy. Kids would only hear rules, reasons and alternatives, all while we ignore their emotions. But when we include that crucial first step, they soften. They might cry less and relax their shoulders, all because they felt heard and understood. Click here to see children’s books about empathy to read with your child. Empathy is such a crucial skill for everyone to practice. We need empathy not just to raise kids but to interact with other adults. Children need empathy to get along with others. It makes interacting with kids easier and models a critical skill they can learn. I might’ve remained upset and impatient with my son had I not practiced empathy. It’s just wooden blocks, I might’ve justified to myself. But I would’ve lost an opportunity to relate to his feelings. He’d have no chance to feel heard and understood. And he wouldn’t have felt reassured that I do care about him—very much—even if he cries over a set of wooden blocks. Tell me in the comments: How does showing empathy toward your child compare to the times when you reacted instead? I love this! It’s so true that sometimes I get mad at my oldest child for making her younger siblings cry without even asking what happened. The moment I hear cries , I automatically assume that my other child was the one who did something bad. Maybe it was my child crying who did something to provoke it, you know>? Like you mentioned showing empathy doesn’t mean letting our kids get away with bad behavior or actions but it’s understanding why it happened and working together to fix it. Yup, I do the same. So easy to assume a victim/perpetrator scene! I can get so frustrated with my boy for fussing over silly little things. It’s so much better when I realize that a) it may be a big thing the him and b)So many times he just wants ME. 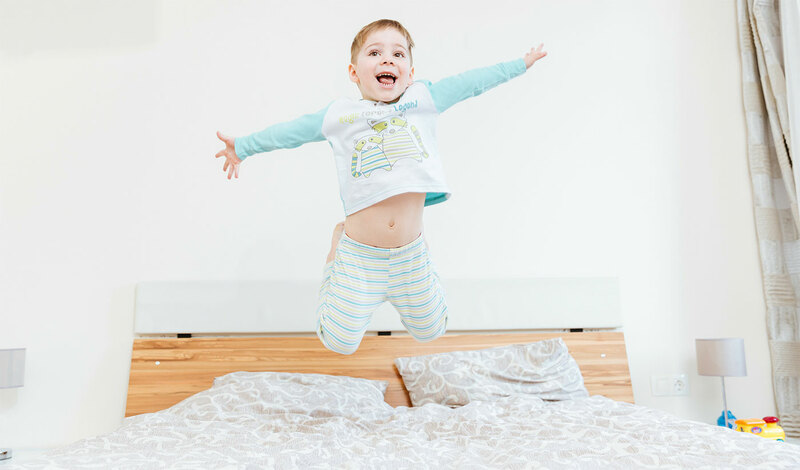 (I just wrote about this at http://www.oneimperfectmom.com/keep-your-cool)Yes, it can be stressful when he wants to play with me while I’m making dinner (or going to the bathroom), but how cool is it that I’m his favorite person in the world? He loves to hang out with me so much. Nobody loves you like a child does. I love your mindset Jenn, to take it as a compliment instead of a hassle that our kids want US. We should definitely see it as a good thing that our kids have a healthy attachment to us. You’re awesome!!! 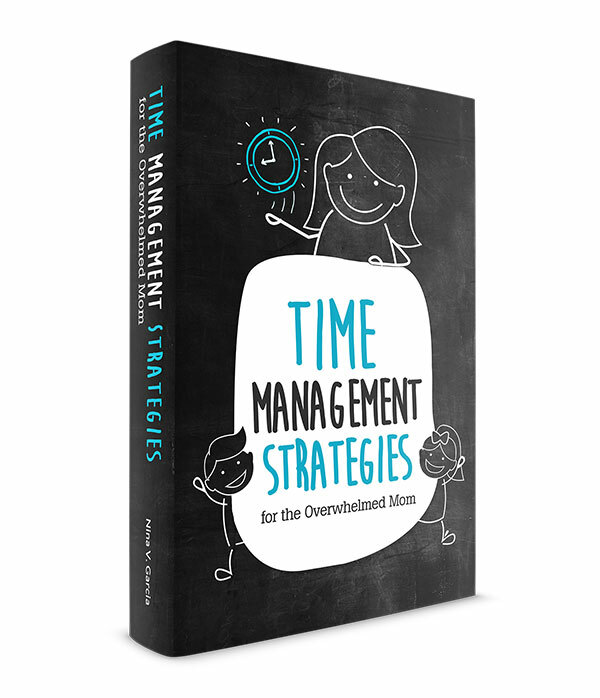 So many good tips and so much to think about. I babysit my 2 year old niece and I truly enjoy it. I have so much love for her. She is very headstrong!! I have no problem with patience but her young mother does. This has taught me a lot. I know that most of the time my little niece isn’t trying to act ugly, she’s just so busy playing and having fun it’s hard to stop. Hopefully I can convince her mommy. I know how to better explain it now. Thank you! Thanks, Pamela, you are too! 🙂 And I’m so glad the article helps you better explain your niece’s behavior to her mom. It’s so true—the better we can see things from their perspective, the more patient we can be.